E-Mutiara Express provides bus trips to various major cities within Peninsular Malaysia on a daily basis. Their routes include the likes of Kota Bahru, Seremban, Lumut, Melaka, Kelantan and more. 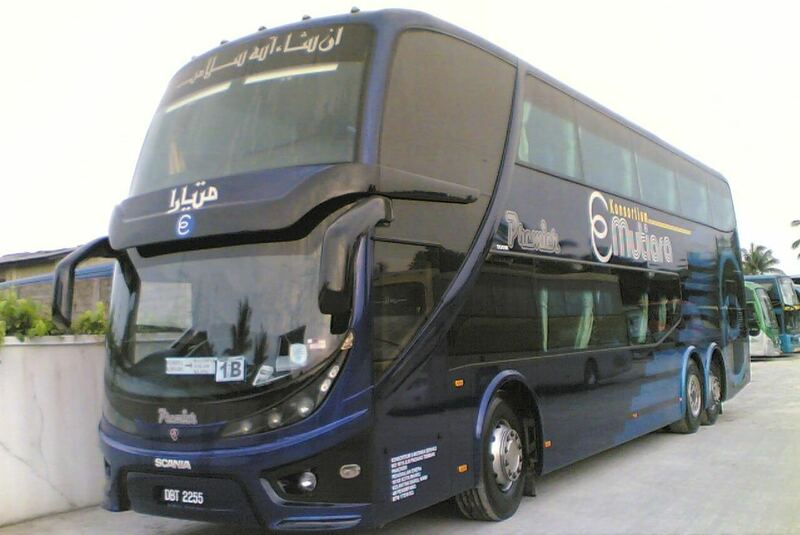 Their fully air-conditioned coaches are equipped with reclining seats, with ample legroom for optimum comfort. Plus, power outlets electronic devices, Wi-Fi connections and Astro channels, adds to an already satisfying bus journey. E-Mutiara strives to provide a safe and comfortable journey for their passengers with each trip, from departure to arrival. CatchThatBus offers online bus tickets to many routes covered by E-Mutiara Express as well as seat availability features. You can book your bus ticket online from our website or via mobile app which can be downloaded for free on Google Play or App Store.